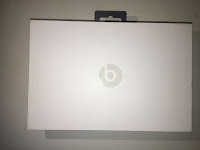 Beats Pill is a brand of portable Bluetooth speakers which is produced by Beats Electronics. 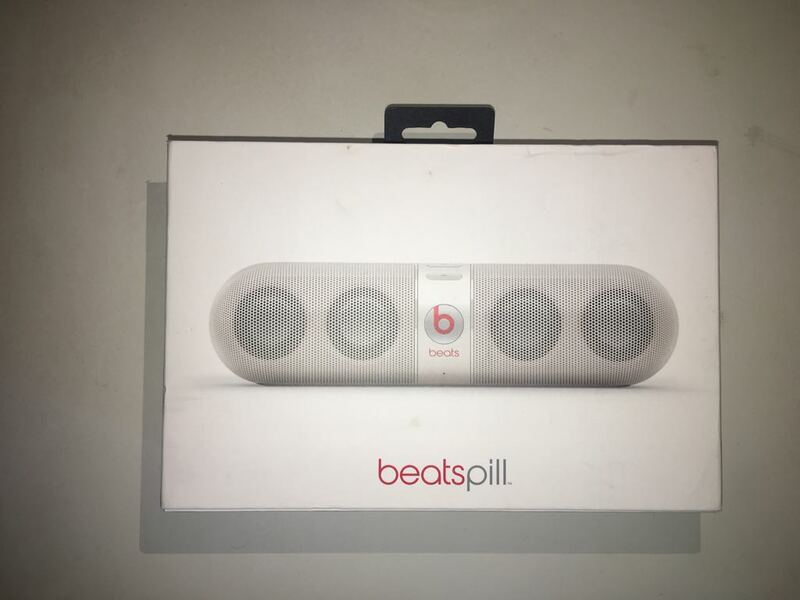 The Beats Pill was released in 2013. The speaker includes 3.5mm input and output jack and the speaker chargers with micro USB port. You can also use a Samsung charger to charge it, it works very well. When you buy it brand new, the speaker comes with 1 year warranty if you buy it brand new. The quality of the package is really really good. I still have the box that I got with the speaker. 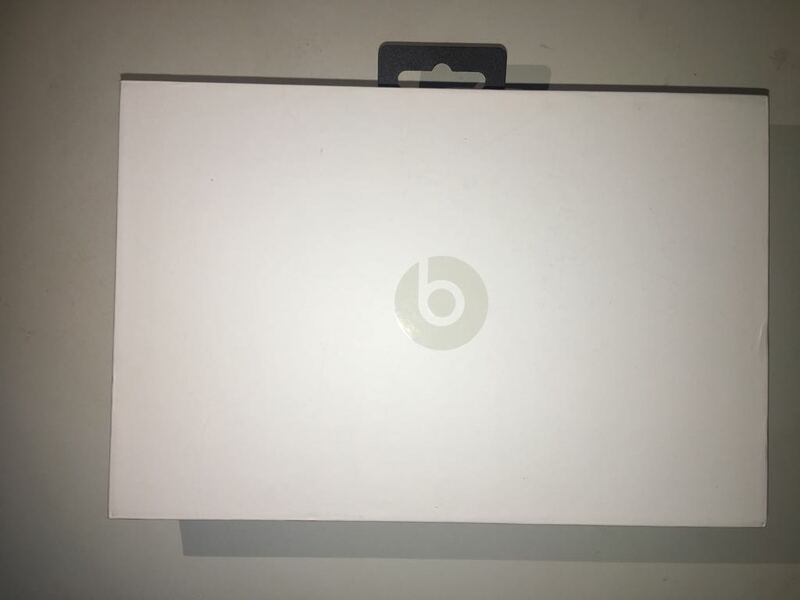 It comes with a case with beats logo on it. What I don't like about the case is that it gets dirty really easily. I'm not sure if you can put it in dry wash but I recommend washing it with hand. 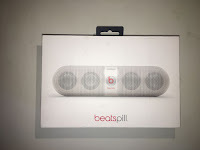 The Beats Pill with size of 7.7 inches long with rounded ends with with only 3 button. 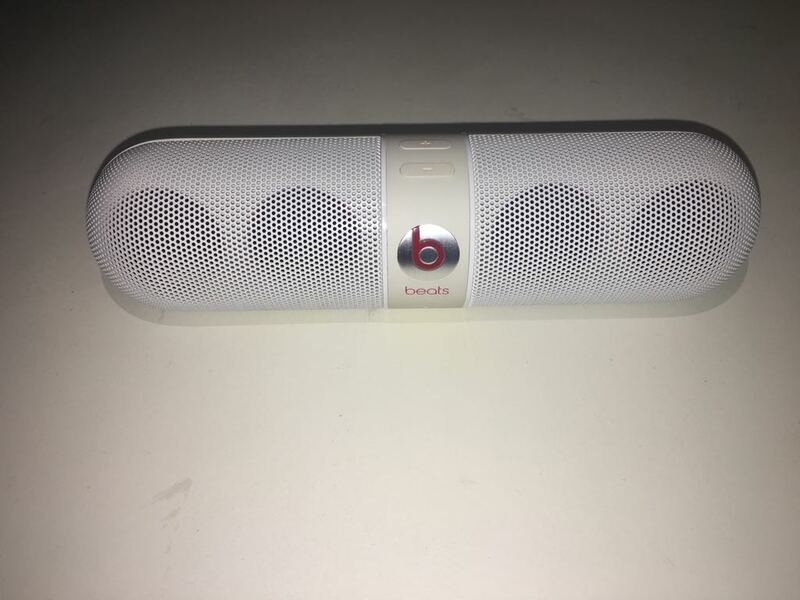 The beats pill is small and beautiful and the sound is also top quality. I am surprised to see a speaker this sized that can play music this loud and still the sound quality clear but on the other hand the battery life slowly slowly decreases once you start using it. The battery sometimes the drains out even if you are not using it. What I like to do is to put it on charge whilst it is playing music. The base is really great and I love hearing music on this speaker. 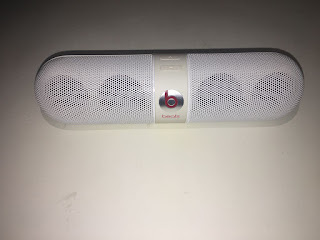 I still prefer using beats pill 1.0 over the 2.0 because I don't see much difference between them both. This is the function information that I managed to get from the beats website. Use (–) and (+) to adjust speaker volume. Tap the two NFC logos together once to amplify sound. Tap a second time to activate stereo sound (one Pill plays left channel, one plays right channel). To cable connect to an audio device like a phone or MP3 player, use the jack labeled IN. To cable connect to another speaker, use the jack labeled OUT.